Be vewy, vewy quiet. I’m hunting amiibos. lolololololol. I told myself I’d never let it get this far. It started out innocently enough. When wave one became available for preorder, I figured I should probably get one or two.. you know, for The Podcast. It wouldn’t be the first time I’d gotten something game related just so I could talk about it on the show. So, having just spoken about my favorite franchises on a recent episode, I decided to pick up Link and Samus to represent the two-way tie for my gaming heart. Then I figured I should probably get Mario too. I mean, he is The Franchise as far as Nintendo stuff goes, so he deserves a spot on my shelf too. I’d get the Big Three and call it a day. Then I looked at the rest of wave one. The Fox figure looked really good, so I preordered him as well. And Donkey Kong, well… DK was Nintendo’s first big break-out character back in the arcade days. I love the Donkey Kong Country games and I actually use DK in Smash as my heavy-of-choice. It’d be a crime not to have him too. The Big Five. That’s all the amiibos I’d need. And it stayed that way for a while. Smash Bros and my amiibos arrived. I started scanning them into Smash Wii U and realized how much fun (and how little work) it was to level them by having them fight each other in a four-way brawl while I just watch the chaos. But one of my five amiibo was always left out, so I figured I should round out my collection to an even eight to have two sets of four to fight each other for my amusement. What really sold me on the idea was the realization that I could get the original eight fighters from Smash 64. How fitting would that be to have my collection stop there? So I ordered Yoshi, Kirby and Profanity Mouse – I mean – Pikachu. 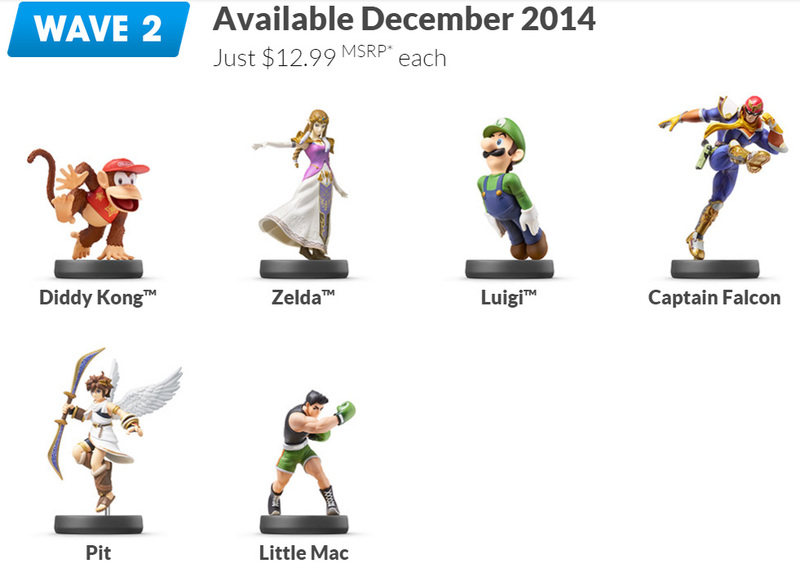 Somewhere along the line, wave two was announced and I preordered Little Mac (my favorite of the new fighters) and Pit (my main.) There were some scarcity issues later seen with wave one, but I was preordering everything through Amazon, so everything seemed fine. Despite rumors of more scarcity, my Little Mac shipped. Okay. Then that <PIIIIIIKACHUUUUUUUU> Amazon tried to cancel my Pit preorder! But- but, you don’t understand! Pit is my MAIN. He’s one of my favorite characters! Has been for over twenty years, since I picked up Kid Icarus: Of Myths and Monsters and played the ever-loving crap out of it on my OG Game Boy. You can’t just cancel my preorder! I NEED HIM!! So, my entire perspective on amiibos has changed. I’m still clinging to hope that Amazon may yet deign to honor my order at some point. The generally accepted understanding online is that wave two was split into two separate groups. The actual composition of those groups is a little unclear. By some reports, Luigi isn’t supposed to be out yet, but I now own one now so… yeah. Anyway, once the second group launches, I should see my Pit order ship. But I’m not taking any chances. Nintendo is being unclear about which are here to stay and which will see their stock replenished. Even worse, they now seem to think that they can replace discontinued figures with cards to offer the same functionality, proving (to me at least) that maybe they don’t understand this beast they’ve created as well as I previously gave them credit for. 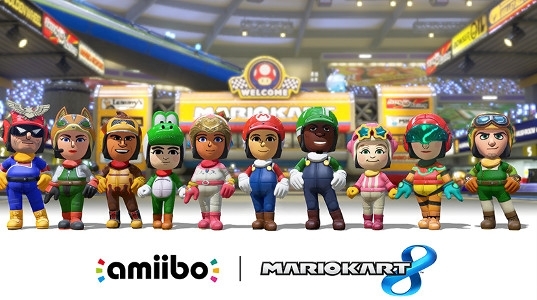 I don’t want only want the amiibo to unlock a lame driver suit in Mario Kart 8. I want it because it is an awesome gamer collectable that will look cool sitting with 11 of his friends on my shelf. NFC cards will not look cool on my shelf – or anywhere else, for that matter. So, I’ve been bit by the bug. Since actual information on which figures have been released and which haven’t yet is fuzzy at best, I’m checking every store I can find an excuse to step into in hopes of finding a Pit and canceling my Amazon preorder. It’s really kind of fun in a perverse, sometimes infuriating way. It takes me back to a simpler, more frantic time back before I started buying absolutely everything but groceries online. There’s an active component to the collecting now. Because it requires effort and luck it’s more satisfying than the instant gratification of one-click shopping. Moreover, I’m reevaluating which amiibos I really want in my collection since there’s no telling which may vanish forever. With Marth already discontinued, it’s clear Nintendo has no idea which Smash characters have the most passionate following among the fanbase. Luigi and Diddy were on my ‘maybe’ list of figures I might pick up at some point, but since they’re hard to find some places I felt compelled to buy them now when I stumbled across them. Especially Diddy, since he’s more likely to get discontinued than Luigi. I also have a whole new appreciation for Nintendo’s “shelf space” argument now that I’ve seen the tiny amount of real estate that most stores have set aside for amiibo figures. Of course every store won’t have room for every figure, especially down the line when there are multiple series of amiibos out. But the space some of these stores have reserved for amiibos is best measured in inches rather than feet. I haven’t gotten to live out a scene from Jingle All The Way – wrestling a fellow shopper to the ground to get my hands on the last of a particular amiibo. But there may be hope for that yet; the shopping season isn’t over. It’s disappointing that EVERY retailer seems to be sold out of most of the figures online. I’m watching Amazon reseller prices daily; evaluating how important it is to me that I get a Villager amiibo and how much I’m willing to pay for it. I spent a fair amount of time poking around on Amazon’s European sites trying to see if I can push through the language barriers and import some figures from regions that don’t have the same shortages the US does. I’m looking up currency conversions and copy/pasting error messages to figure out why the order won’t complete. It’s more complicated than online shopping needs to be, but it’s strangely fun. I’ve always heard how video games (and presumably their accessories) get marked up MSRPs in Europe. I have to say, the conversion from US dollars to Great British Pounds is not favorable right now. 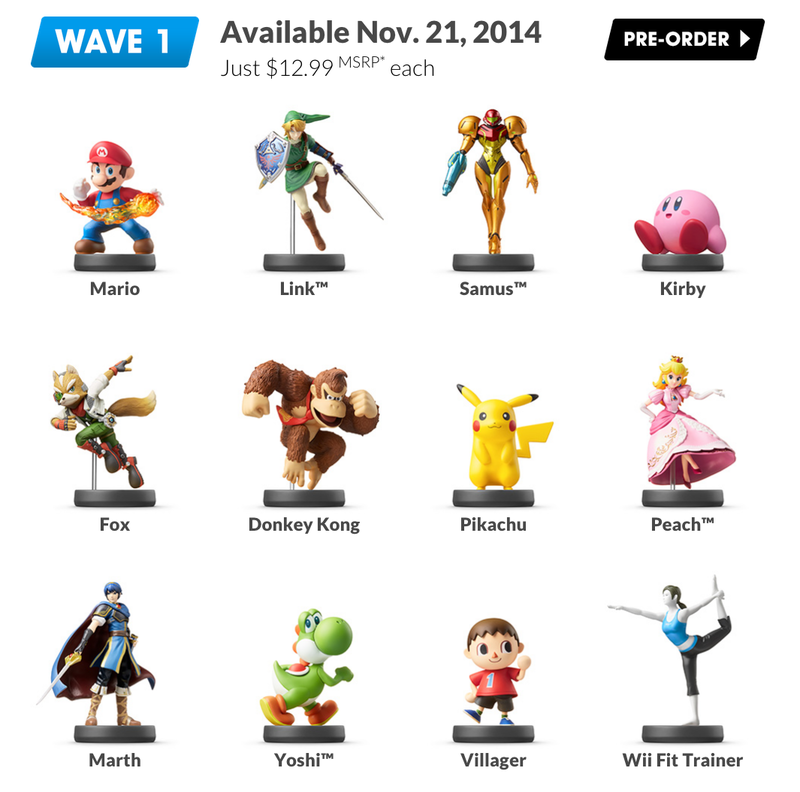 The same $13 amiibo goes for the equivalent of $23 in GBP right now. The three amiibos I still need rang up to about $105 before shipping and only one of those seemed to be suffering from scarcity pricing in the UK. I may be obsessed, but I’m not that far gone yet. I think I’ve successfully managed to import a couple of figures from Germany, but I may not know for sure until they show up in the mail. In the end, I’m a mess right now and it’s all Nintendo’s fault. Merry Christmas, Iwata. Here: take my money. 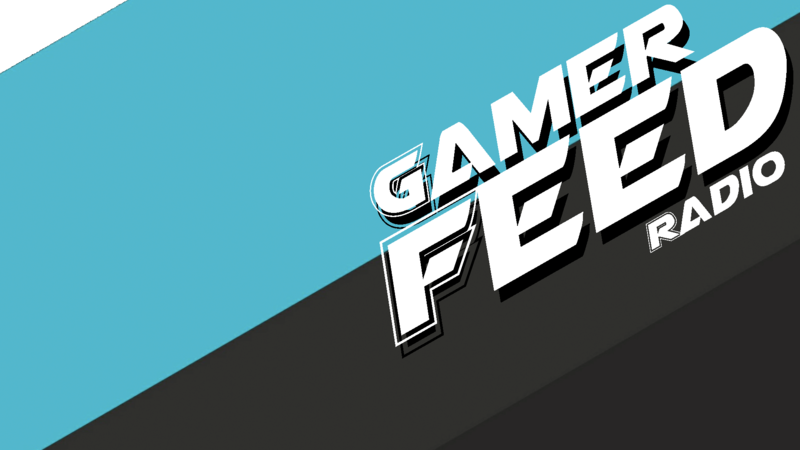 Next Post The GamerFeed 2014 Grampies!